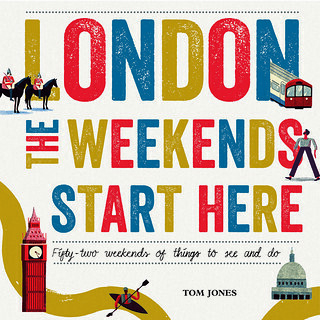 'London, The Weekends Start Here: Fifty-two Weekends of Things to See and Do', the third book by Tired of London's Tom Jones, was published on 12th March 2015. 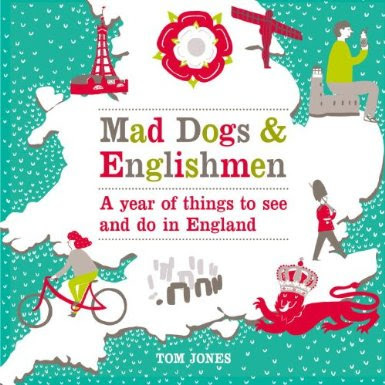 Mad Dogs & Englishmen was written and researched over autumn and winter 2012-13, and is the result of 30 years of finding things to see and do in England, and explores every corner of this snug little nation. As with the Tired of London, Tired of Life book, it features brand new illustrations by Hannah Warren, and is once again designed by Lottie Crumbleholme, with support from Virgin Books and Ebury. 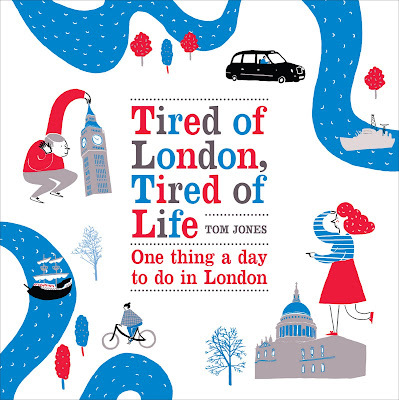 Tired of London, Tired of Life offers a whole year of things to do in London for you to take home and keep, and features a mixture of brand new ideas never before seen on Tired of London, Tired of Life, and old favourites re-researched and re-written for the publication. It wass the result of more than five years of research, wandering the streets of London in all seasons, and cycling to its outer reaches. The summer spent writing it was the best time of your author's life, and seeing it come together with illustrations by Hannah Warren, designs by Lottie Crumbleholme, and support from Virgin Books has been very rewarding. If you do want a copy of either of these books, it would be great if you could personally request it at your local independent bookshop. If you don't know where that is, you could try one of these, or use the tool below to buy it on the internet. If you are facing the problem of writing and feeling tense then it's your turn to get rid of from all of your essay writing problems just put your phone and install this edubirdie app for getting the service of essay writing. Form this you can select and compare the number of essay writer professional who can write the best essay for you.